Looking for some great darting reads while the players are on their break? We suggest taking a look at some of the great darts books to get your arrows fix. From legendary icons of the game be them broadcasters or darters, to people looking to understand and capture just what darts is and why their fans are, well, quite unlike any other, the books on this list are all perfect for darts fans the world over. Penned by the legendary darts commentator, the late, great Sid Waddell, this is a detailed run through of the game’s transition from pub game to a proper televised sport. From mining stock in the North East, Waddell loved the game’s working-class roots and it was his eccentric wit that became the voice of darts until his death in 2012 at the age of 72. This book is a celebration of his time in the game and how he, in no small part, helped to make darts on TV what it is today. 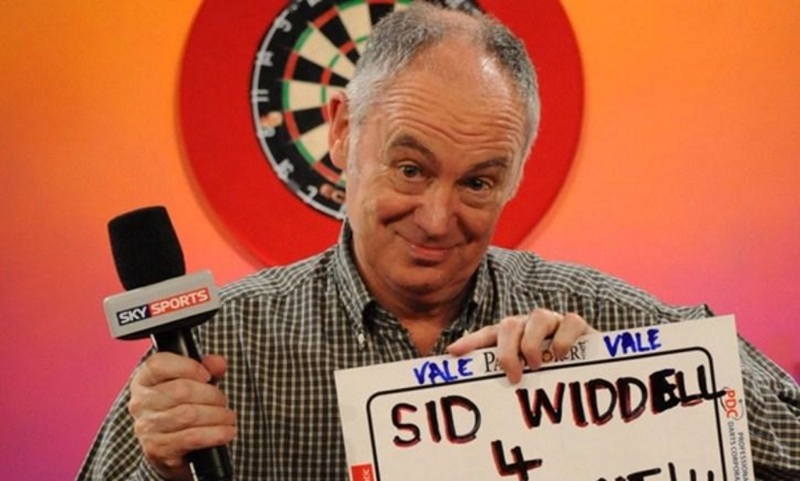 Sid began commentating on darts in 1977 and not only was he the comedic voice of the game for over 30 years, but he was also a TV producer and the inspiration behind some legendary TV formats based on the game too. Take, Yorkshire Television’s Indoor League, a unique show that wouldn’t get aired today but somehow made the cut in the 70’s. Fronted by one-time England and Yorkshire cricket captain, ‘Fiery’ Fred Trueman, Indoor League brought pub games, including darts, to the small screen. Other games featured included arm-wrestling, bar billiards, shove ha’penny and table skittles and it was during this time that Sid established a friendship with SKY TV’s Dave Lanning, who would share the commentary box for many years. ITV’s legendary 80’s game show Bullseye, hosted by the late Jim Bowen, is another of Sid’s immortal ideas. He writes too about the big names of the game and their difficult upbringings and how it affected them in later years. Chief among these are Jocky Wilson, Eric Bristow and “The Greatest Darts Player Who Ever Drew Breath”, Phil “The Power” Taylor. He also details his own role in the split from the BDO and the creation of the shiny new 90’s Sky Sports’ led PDC product we enjoy today. 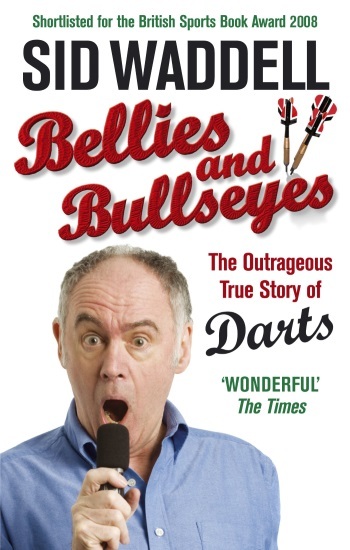 Bellies and Bullseyes is a fascinating, well-structured, readable and often funny history of modern darts. 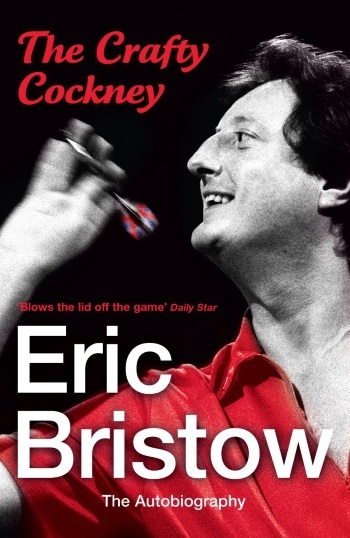 Having released an original biography at the age of 26 in 1985, Eric Bristow’s second attempt provides the fuller story of dart’s original superstar. This one is penned by the man himself and charts an extraordinary career and his personal life with his former wife Maureen, friendship with John Lowe. It also documents the tutelage of Phil Taylor, who Eric took under his wing and as he puts it, turned into a monster. This is one of the best sporting biographies around, painfully honest as it outlines his humble beginnings in London’s East End, where he was briefly employed as both a cat burglar and a shoplifter. Darts provided Bristow with the escape route he required and, inspired by his parents, he took up arrows and set out on his meteoric rise to stardom and five world championship titles. 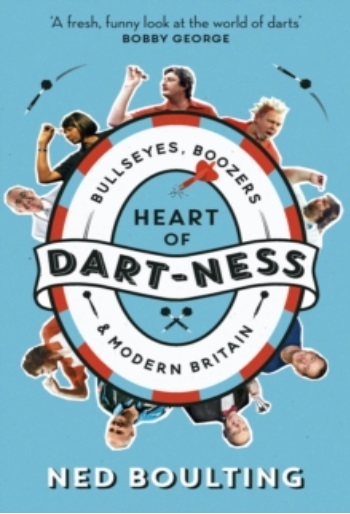 Packed with darting anecdotes, drinking binges in the company of Cliff Lazarenko and all round tales of foolishness from the oche, this book is a riot that’s both funny and sad in equal measure, perhaps even more so now given his passing last year. The Crafty Cockney cleverly unravels the human story of the most famous darts player of his generation. The book details his near-death experience on a plane, the discovery of a brother he never knew he had, his marital breakdown, his battle with dartitis and his mother’s tragic battle with cancer. The Crafty Cockney is an absolute must for all darts fans. 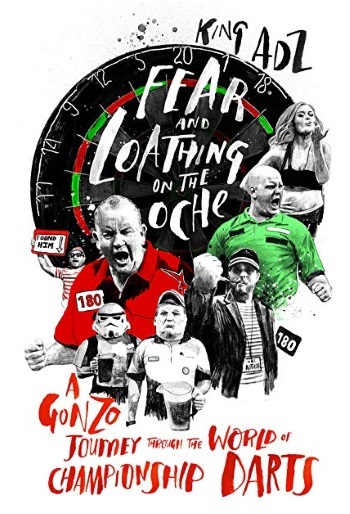 Nominated for the 2018 Sports Book of The Year awards, Fear and Loathing takes you backstage at the PDC World Darts Championships. Even at the game’s premier event at the Ally Pally, you will read tales of world-class superstars, battling it out in the middle of a championship match while drinking enough lager to ensure the next morning’s hangover is severely painful. Author King Adz paints a strange portrait of the game and shares insights into the colourful and inebriated characters he meets along the way. In the book, he aims to find out what drives the crazy fan base, almost none of whom come along sober or normally dressed. Not that we need reminding but the book goes out of its way to outline why darts fans are unlike any other fans in world sport. Drinking more than most and wearing the silliest costumes, they also sing the loudest and truly create one of sports most atmospheric occasions. The book also takes time to talk to former legends, future stars, owners, hosts, referees and those nutty, nutty fans. This book captures just how bonkers darts really is and why that is exactly why we love it. In which ITV football host Ned Boulting takes a humorous look into just what exactly darts is. By this he means, is it a sport, a pub game, a side-show or something else entirely. Boulting achieves his mission with some style and the end result is a funny and heartfelt look at modern Britain and darts’ place in it. Traveling the length and width of the Isle from the tip of Scotland to the point of Landsend, Cardiff to Minehead, Milton Keynes to Frankfurt, London to Liverpool, the author takes the reader on a journey back to the beginning of the modern game. He meets with the likes of Phil Taylor, Michael van Gerwen and Raymond van Barneveld as well as Andy ‘The Viking’ Fordham – whose fifty beers a day habit led to his near death on the oche – and Cliff Lazarenko, another ferocious drinker. Boulting also manages to speak with Eric Bristow in what must be one the great’s last ever interviews which makes for poignant reading. In the end, we’re left with more questions than answers but don’t let that put you off — this is a forensic examination of the game we love, whether it be a sport, a boozy pastime or simply a cracking night out. 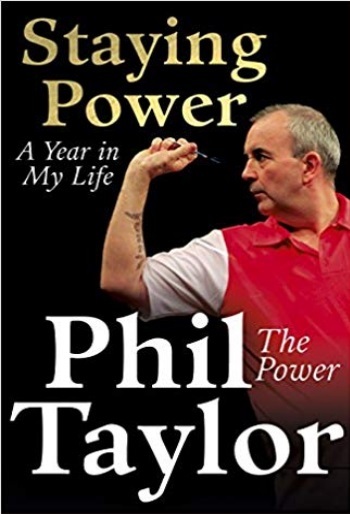 As for Phil ‘The Power’ Taylor, there are two books that are worth a look. There is the 2007 release, The Power: My Autobiography (written by, you guessed it, Sid Waddell) and the 2014 edition, Staying Power: A Year In My Life. For the purposes of this list, we have selected the latter, a year in the life of the most successful darts player of all time. Taylor is the undisputed king of darts, as his unrivaled sixteen World Championship titles will attest. Starting out as a protégé of Eric Bristow after walking into his pub with a set of darts, Taylor soon eclipsed the Crafty Cockney himself. Twice nominated for BBC Sports Personality of the Year, this book ironically follows Taylor on one of his less-successful seasons in which he crashed out at the Ally Pally in the second round to Michael Smith and admits to falling asleep on Christmas day, exhausted from the strain of constant winning. It was also the season in which he triumphed in arguably the greatest ever game of darts, the Grand Slam semi-final against Adrian Lewis as well as forecasting the emergence of Dutch superstar Michael van Gerwen. Filled with tales of spats and hecklers, clashes on stage and off, this book sensitively outlines a year in the life of one of the sport’s greatest champions, re-finding the inspiration and fighting hard to stay in power before the bell tolls, as indeed it now has. 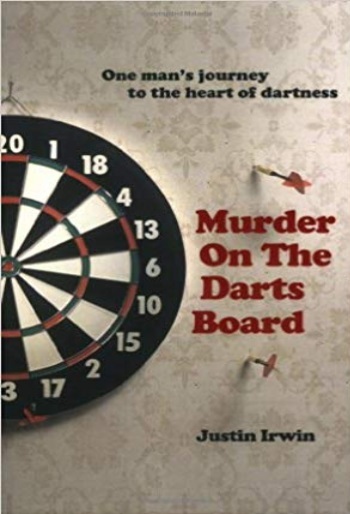 In 2008’s Murder of the Darts Board, the writer Justin Irwin chronicles how he quit his job as the director of a national charity organisation in order to spend a year attempting to make it as a professional darts player. Irwin ponders whether hard work alone is enough to turn him into a great player, an idea that Andy Fordham noted as barmy. The focus of the book is, as always, the World Championships and in building up to the event Irwin practises between four and six hours a day while taking part in several tournaments, albeit with very little success. Sadly, in qualifying for the big one he had the misfortune to draw former quarter-finalist Simon “Chopper” Whatley in the first round in Hull. Without spoiling the ending – the book is about the journey rather than the result – Irwin was whitewashed bringing his fledgling chucking career to an abrupt end. Irwin chronicles his efforts with great humour and perception, while managing to land the bullseye on paper if not on the board. While the first book in this list looks at the evolution of darts by the man who played a dominant role in its success, this title looks at the man himself from the viewpoint of his son. Dan Waddell’s We Had Some Laughs is a hugely entertaining biography of his dad Sid and fills in the parts that Sid’s own book omitted, such as his childhood in a Northumbrian mining village before winning the grammar scholarship that would propel him to Cambridge and change his life forever. From there, we learn how Sid would go on to dedicate his professional life to what he descried as “fat men throwing things at the wall”. Beginning with a starter job on local TV to moving to the BBC in 1977, where would go on to perfect the style that would win him an army of fans over the following 30 years. Every move is relayed by an eye witness to it all with the blurry eyed romance of young boy thrown into the beery, smoky, blokey atmosphere of 1980’s darts halls. 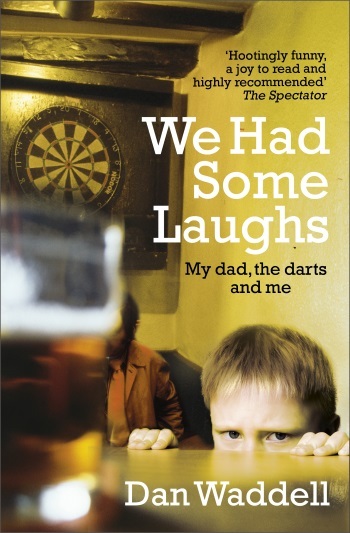 Dan perfectly captures his teenage experiences in particular being at the World Championships during darts’ all-drinking, all-smoking heyday in this moving and funny account of Sid’s colourful life and career and a son’s memories of his larger than life father.